Social media has seen a variety of reactions following the tragic fire at Paris’ iconic Notre-Dame cathedral Monday, but some users chose to mock and laugh at those expressing sorrow. 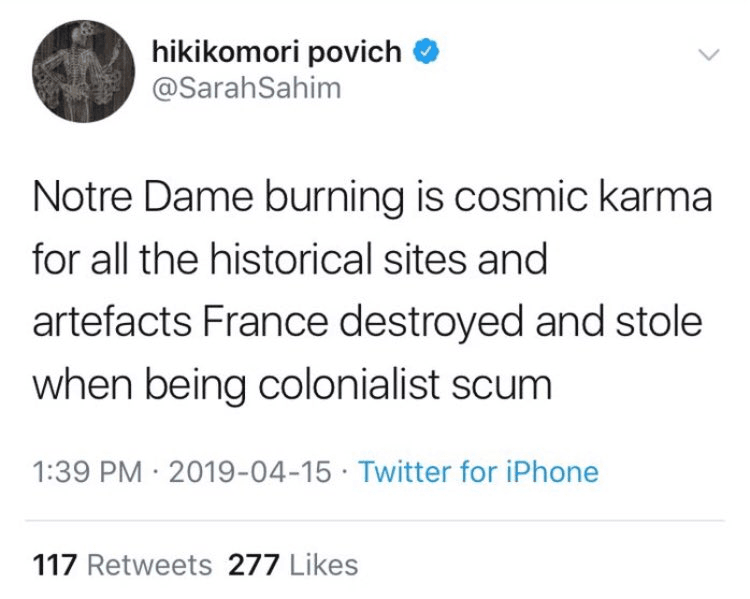 Several accounts on Twitter expressed mockery over the loss of the 850 plus year-old cathedral, which has become an icon of the city of Paris since the Medieval era. On French social media, there were also mocking reactions to the tragedy including well over a thousand Facebook users who used the laughing emoji reaction to a Facebook live stream about the fire. 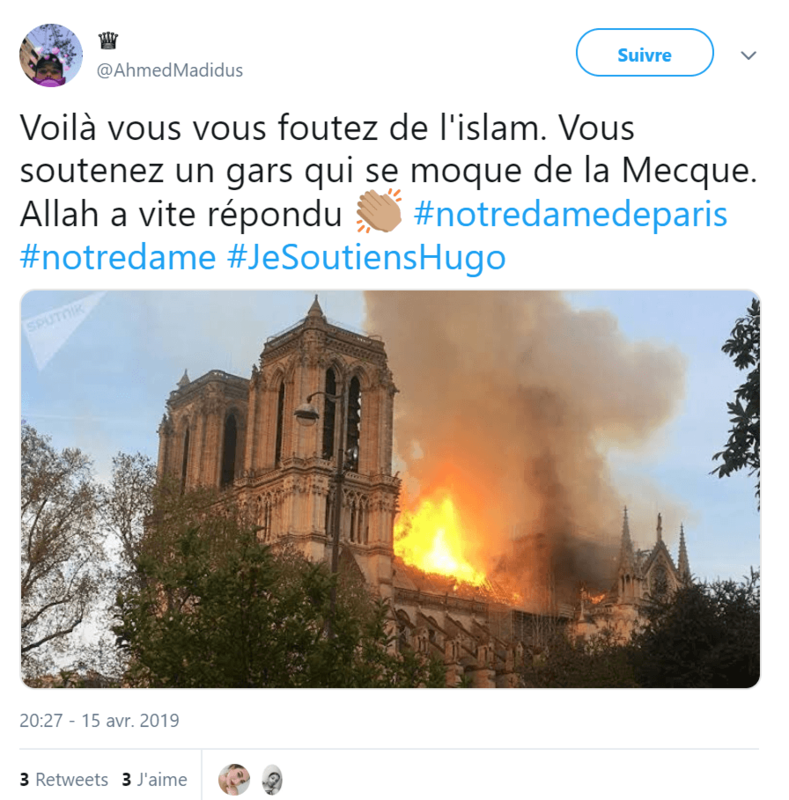 Others on French social media attempted to link today’s events to a tweet, written prior to the fire, by a French teen named Hugo who mocked the Muslim pilgrimage to Mecca. Hugo had received a number of death threats as a result of his tweet, primarily from Muslims. The iconic cathedral had been undergoing restoration before the blaze on Monday, and while some have suggested the fire may have been an accident related to the restoration process, investigators have not given any definitive answers as to the cause of the fire.